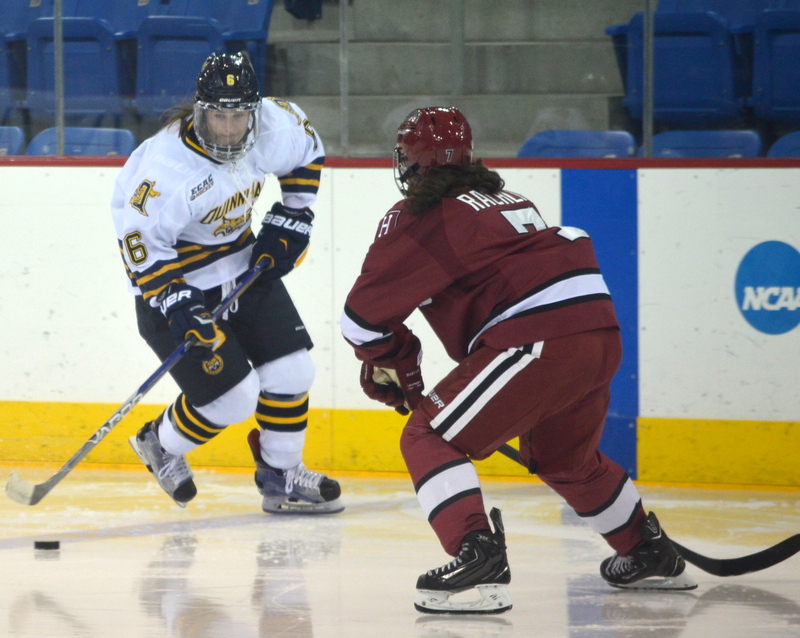 Following a 7-0 victory in the first game of ECAC Quarterfinals series against Princeton (15-13-2) the previous night, No. 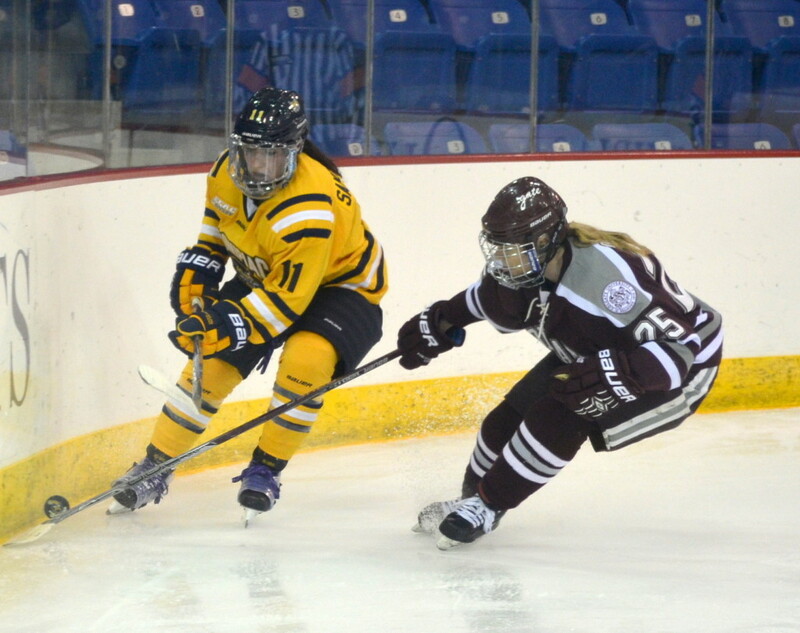 6 Quinnipiac (25-7-3) looked to finish the series in Game 2 on Saturday afternoon at High Point Solutions Arena. 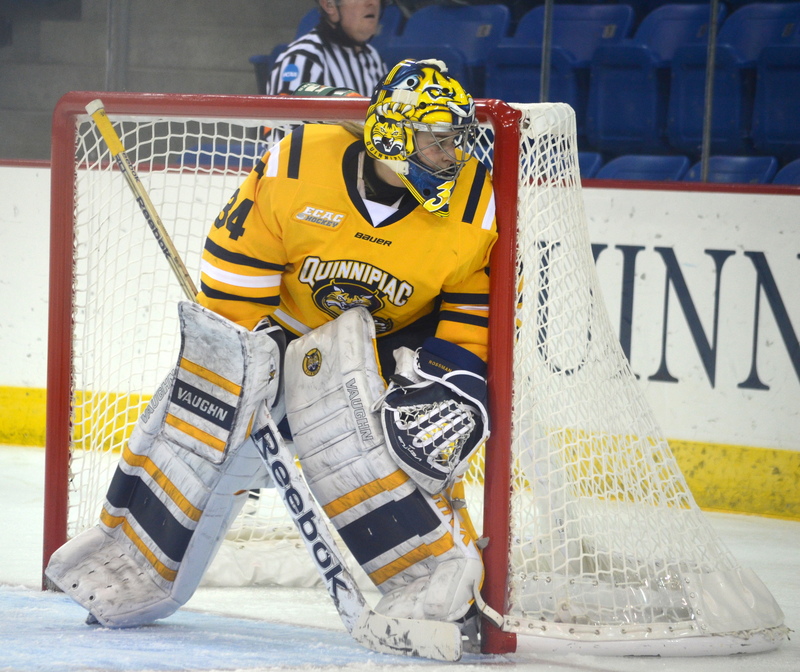 Quinnipiac did just that, downing Princeton 2-0 to move on to the ECAC Semifinals. 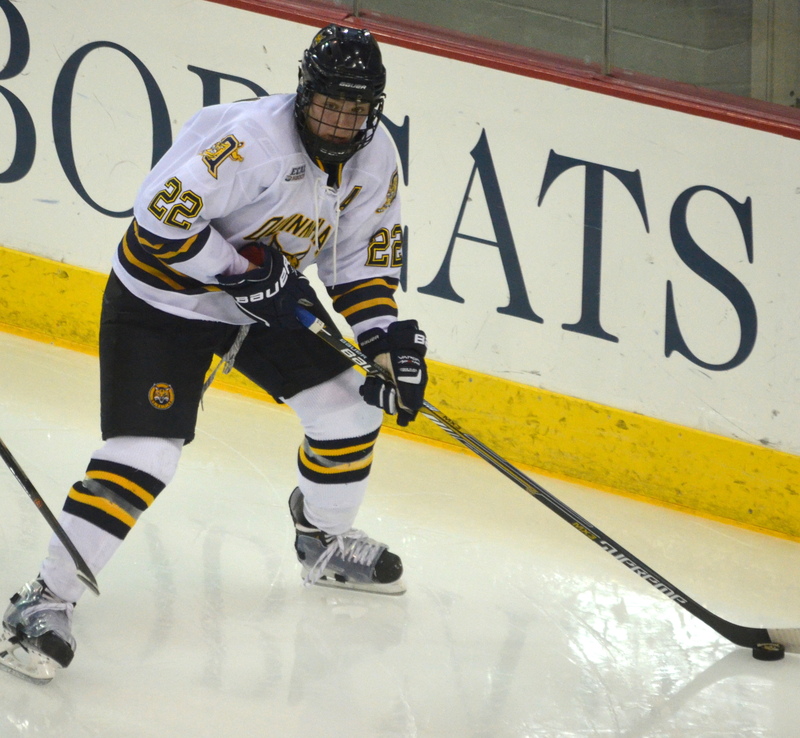 The Bobcats started the game showing momentum from their previous win, outshooting the Tigers 11-3 in the first period. 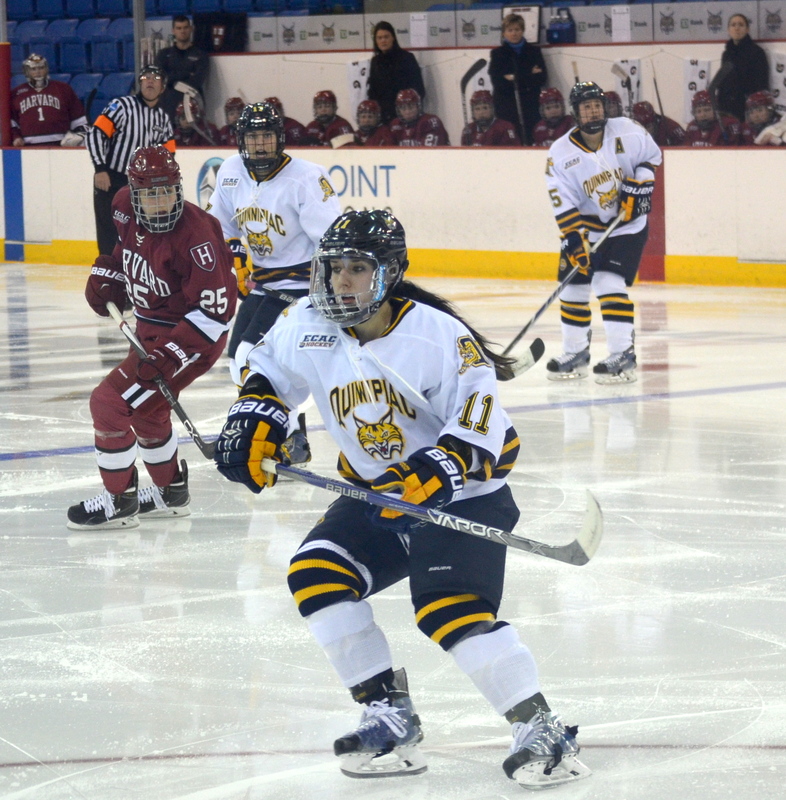 Shiann Darkangelo had her goal overturned with 4:03 left in the period, which would have given Quinnipiac a 1-0 lead. 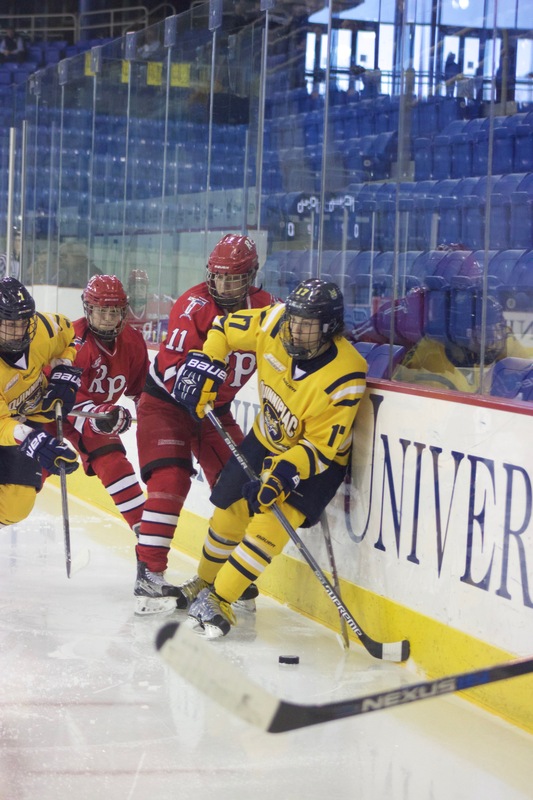 Quinnipiac took advantage of a Princeton penalty early in the second, however, as Nicole Connery tucked a Taylor Cianfarano pass into the bottom right of the net for her 13th goal of the year. 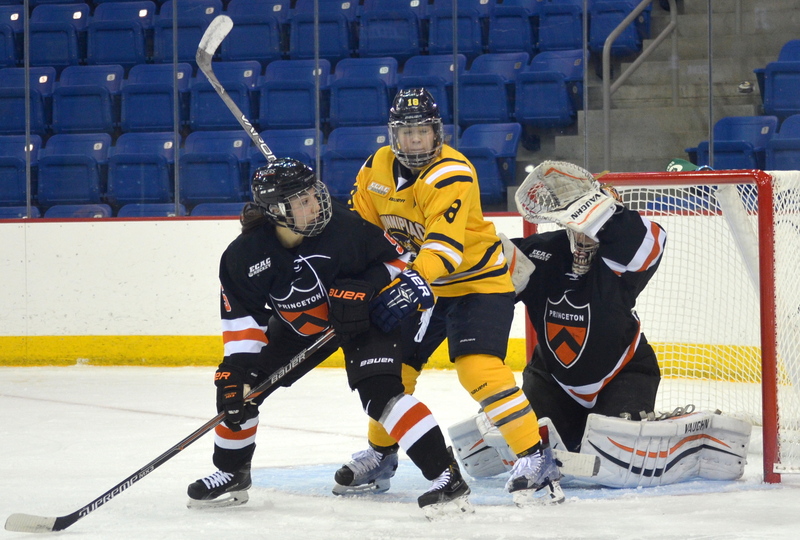 Princeton goalie Kimberly Newell had 34 saves just a day after giving up seven scored to the Bobcats. Newell made an athletic grab of a would be Darkangelo goal in the second period. Meanwhile, the Tigers were only able to manage to get off 11 shots in the last two periods of regulation. Nicole Brown scored her 3rd goal of the season with 12 seconds left, after Newell had been pulled, to secure a 2-0 win for the Bobcats. The game also marks Senior goalkeeper Chelsea Laden’s 16th shutout of the season. 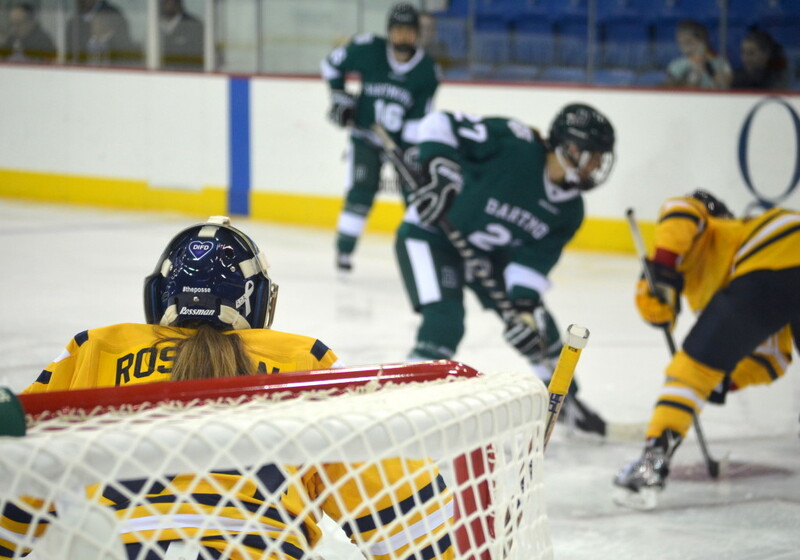 The number is already an ECAC best, surpassing Erica Howe of Clarkson’s previous record of 14. Laden is now one shutout shy of tying former Minnesota goalkeeper Noora Räty’s record of 17 in one season. 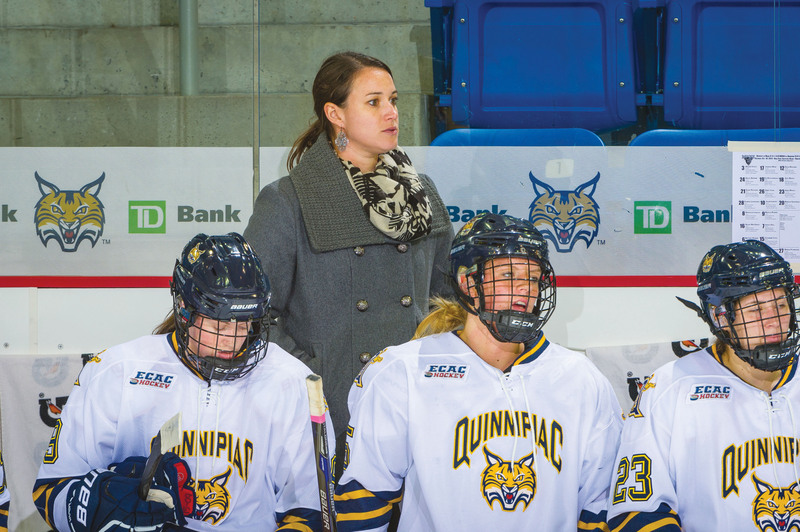 Additionally, it came in Laden’s final home game in a Quinnipiac uniform. Up next, the Bobcats prepare for No. 4 Harvard (25-5-3), the one team they have yet to defeat in ECAC play this season. “We’ve played Harvard tough both times this year, and in both cases we were up one goal, and we gave up a weak goal relatively after.” Seely said.